Avocado trees can produce as many as 100 to 200 avocados during the growing season, but this number may be affected if the fruit and/or tree is at risk. Even with careful maintenance, such as watering and fertilizing, threats like bad weather and pests can hinder the growth of your tree. Fortunately, by taking preventative measures, you can protect your avocados and avocado trees to ensure that you enjoy them for years to come. Wrap the base of your avocado tree with a tree trunk wrap made out of tin or copper. This material prevents animals, such as squirrels or rats, from climbing up the tree and gnawing and/or stealing your avocados. Remove any fruit before the first frost. Avocados are generally available for picking during the cold season and any leftover fruit may be damaged from the drop in temperature. 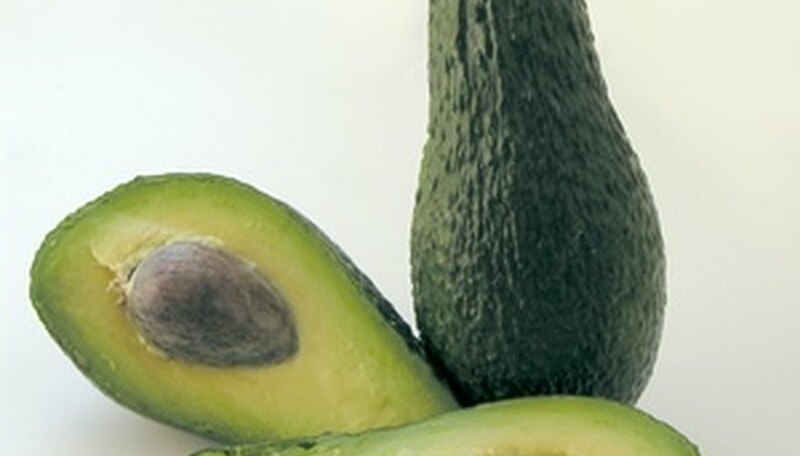 Add a barrier of fencing around your trees to keep animals, such as deer and rabbits, from getting to your avocados. Remove any grass or weeds that surround an avocado tree that is 2 years old or younger. These other plants steal nutrients that the tree needs. Add mulch, such as dried leaves, to the base of the tree trunk to create a barrier that stops weeds and other plants from growing near your tree. Wrap the tree trunk in sponge foam to protect against frost. Further, place a plastic covering over the tree to shelter it from the cold. Place additional soil around the base of a tree if severe frost is expected. Water the mound completely for two to three days before the cold comes.